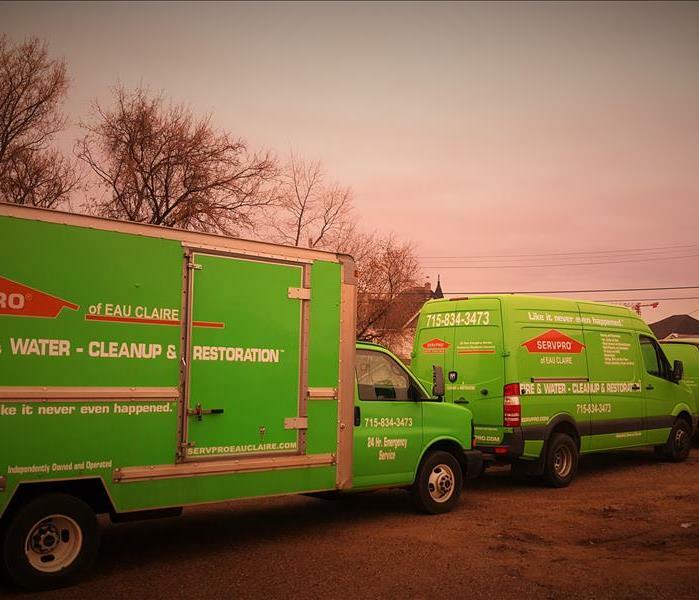 SERVPRO of Eau Claire takes great care and pride in our community. 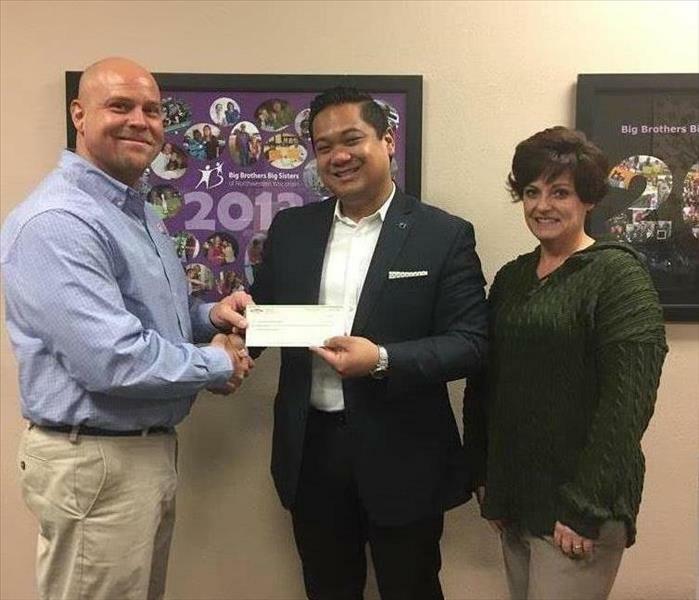 We partnered with Big Brothers Big Sisters of Northwestern Wisconsin to raise funds through the SERVPRO of Eau Claire Annual Golf Outing. 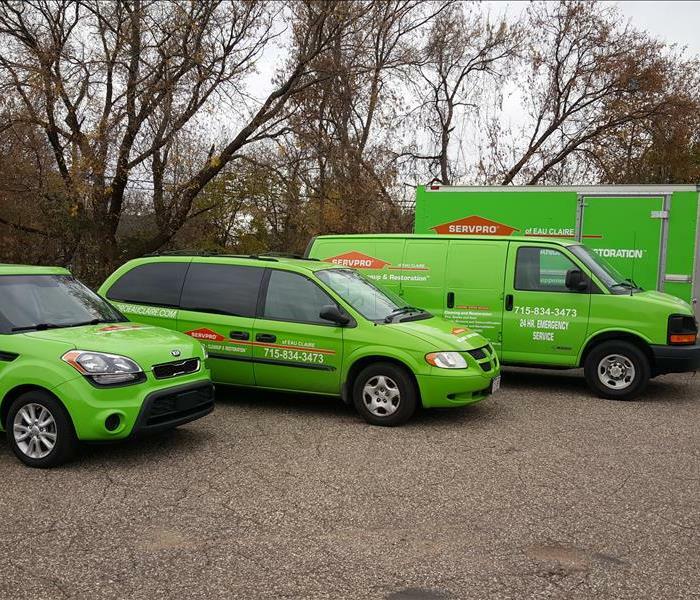 SERVPRO of Eau Claire's trained professionals are equipped with the knowledge and equipment to take care of your every need. 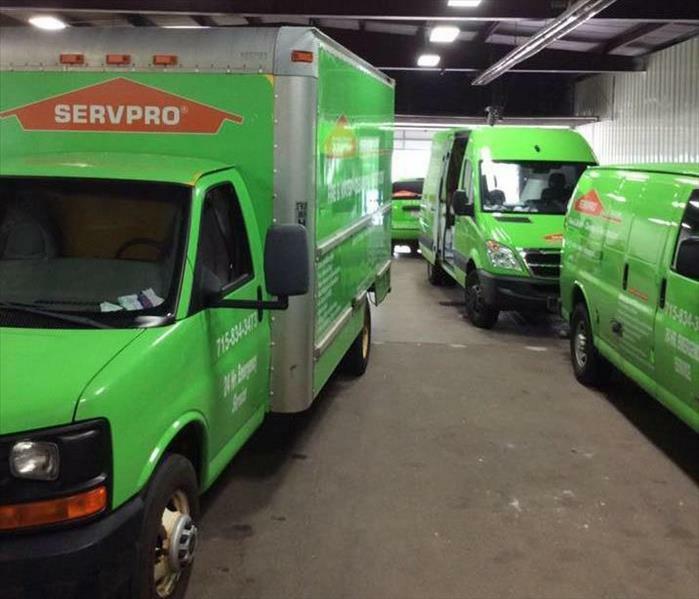 From commercial and industrial cleaning to smoke and soot to hoarding cleaning, SERVPRO of Eau Claire does it all. 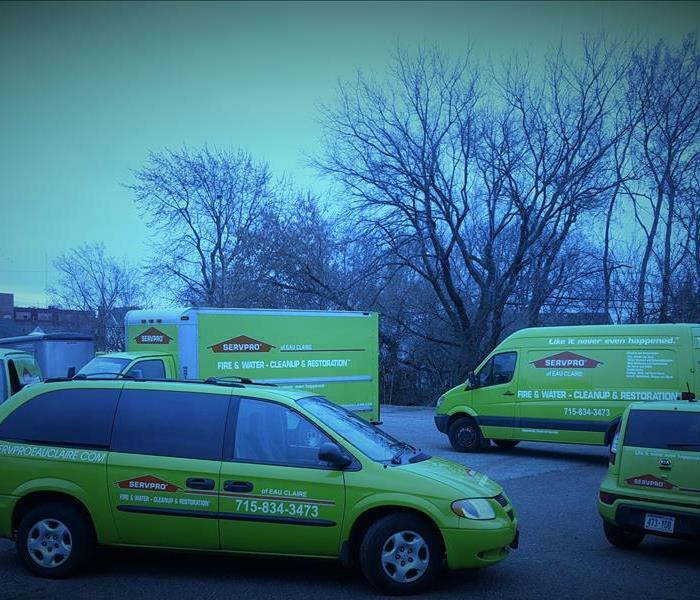 SERVPRO of Eau Claire has dedicated and trained professionals ready to serve your disaster needs at a moments notice. Our vehicles and equipment are maintained and ready to roll twenty-four hours a day, 365 days a year! SERVPRO of Eau Claire professionals take safety serious. We protect everyone and everything to the fullest. This customer was thrilled to know their belongings and health were being looked out for by our team of professionals. Nice shot of some of our vehicles back at the shop in between water losses and fire damage calls. Lined up and ready for the day. 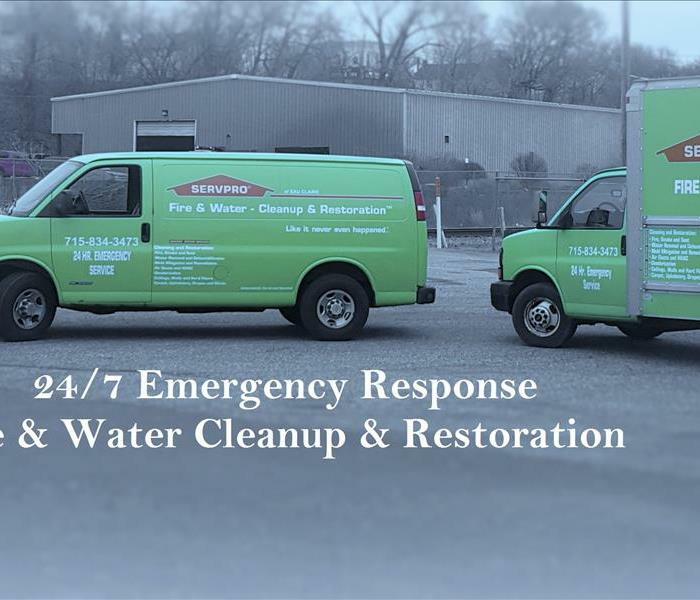 You never know when a water or fire damage emergency will happen, SERVPRO of Eau Claire is ready to roll 24/7. Broken pipes? Ground water? Sewer backup? 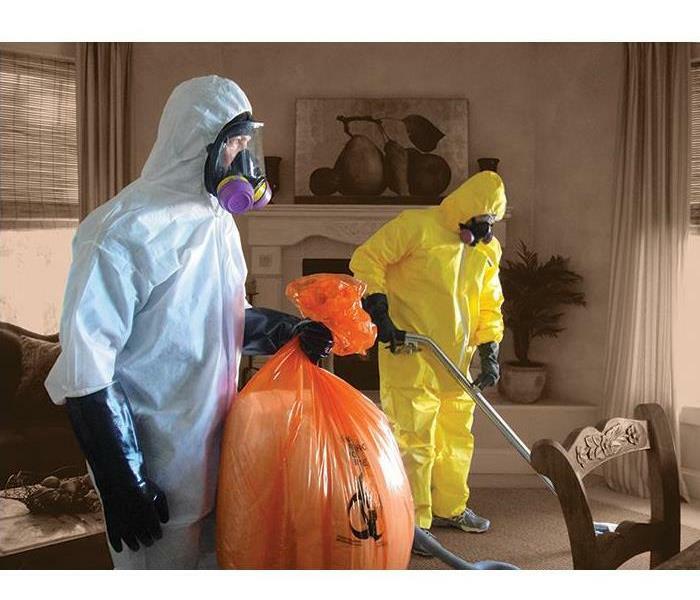 You need someone right away to clean it up, you need to call SERVPRO of Eau Claire 715-834-3473. 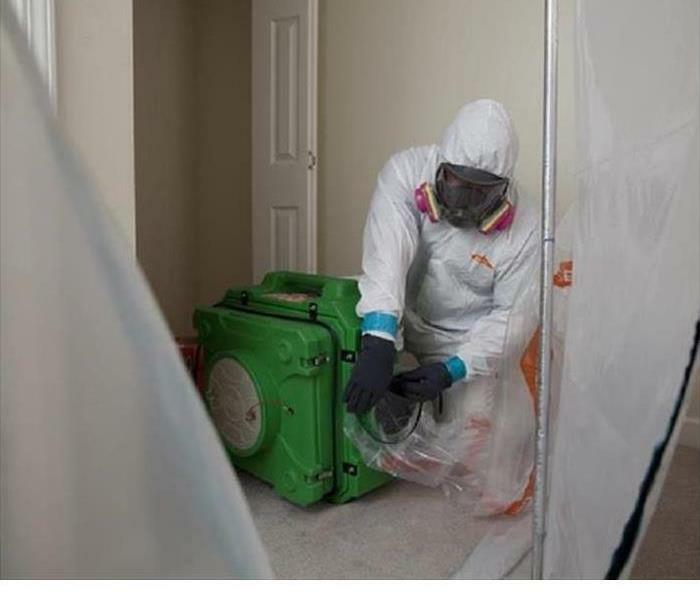 When fire and water cleanup is needed, getting help is now quicker and easier using the SERVPRO Ready Plan App. The Ready Plan is an emergency preparedness tool for home and business owners, property managers, risk managers and facility management. It allows for the creation of an Emergency Ready Profile containing critical facility information to help speed up response time.